Have an affection for Native American or Southwestern jewelry? 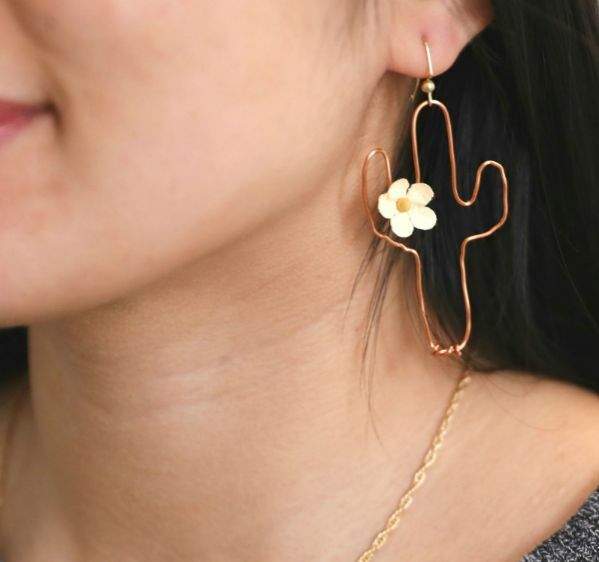 Spread cheer and desert vibes with lovely cacti earrings. Each cactus earring looks as though it has been kissed by the sun; the warm red color of copper is quite eye-catching. Pair cacti earrings with jeans, boots and a favorite cowboy hat. Fortunately, it won't be difficult to make these earrings—even if you're a novice at making jewelry. 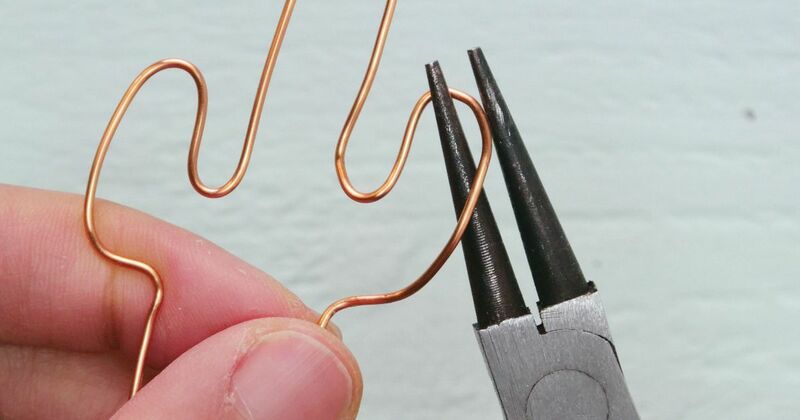 Copper wire is one of the least expensive metals to purchase for jewelry making. It's also one of the easiest to bend and sculpt into desired shapes. 1. Draw the outline of a cactus on a blank sheet of construction paper. 2. Cut approximately 8 inches of 18 gauge wire from the roll. 3. Use the drawing of the cactus as a template. Place the wire flat on the construction paper. Bend the wire to replicate the pattern of the cactus. 4. Use pliers to twist the ends of metal together at the base of the cactus. 5. Use hands to pinch or pull the metal so both sides of the cactus are proportional. 6. Glue a small clay flower bead to the crevice between the arm and body of the cactus. Hold the flower in place until the glue dries. 7. Open the bottom part of an ear wire with a pair of pliers. 8. Slip the top of the cactus in the opening made in previous step. 9. Squeeze the bottom part of the ear wire closed with the pliers. 10. Repeat steps 1 to 9 to make an additional cactus for a matching pair of copper cacti earrings.